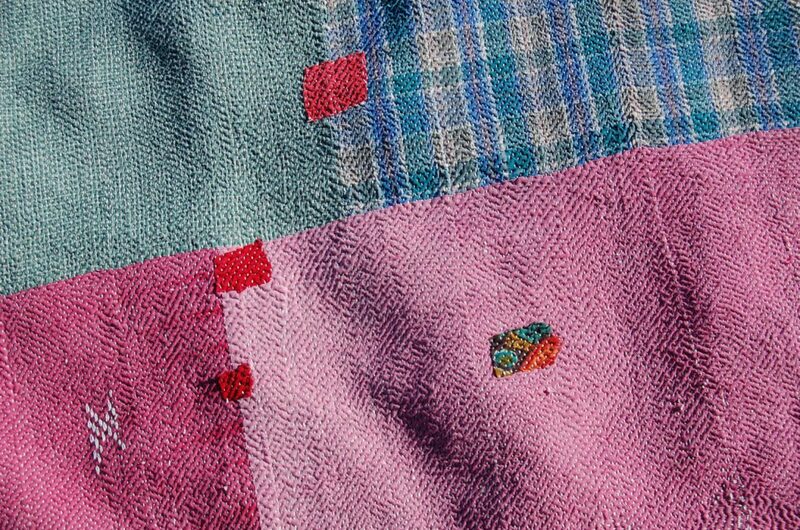 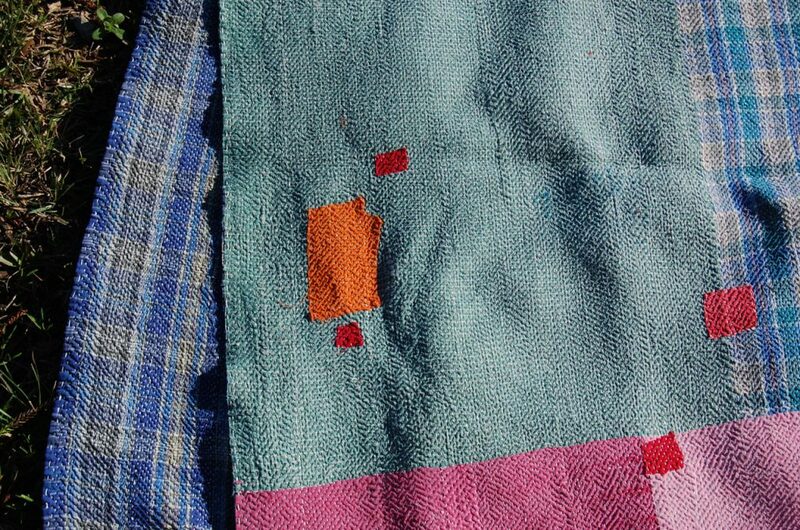 Hari has the most spectacular kantha stitch hand embroidery I have ever encountered, giving the quilt a rug-like quality. 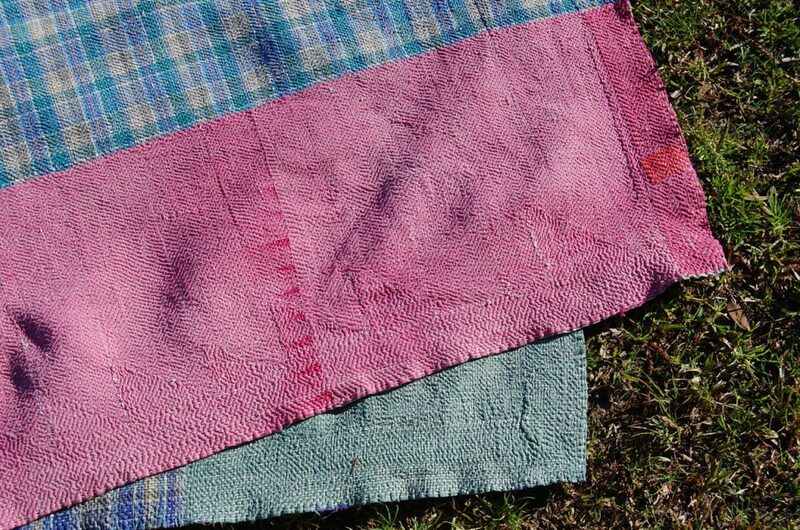 The thousands of tiny stitches allow for a very strong and durable kantha which will last forever. 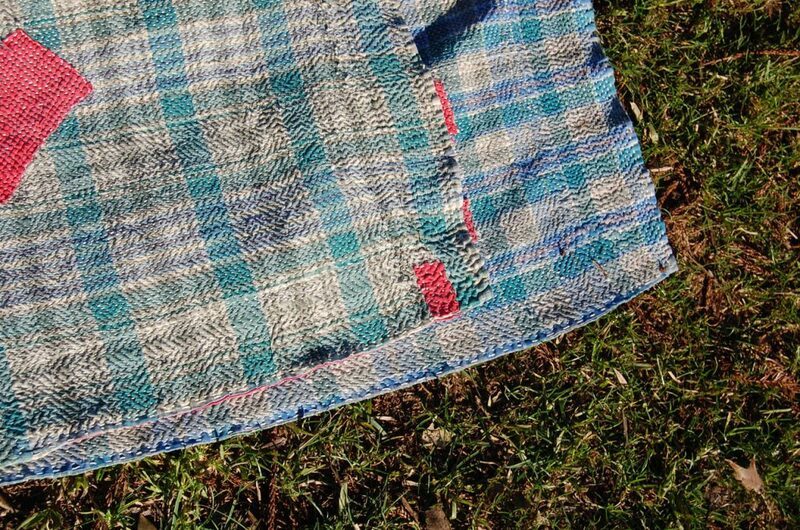 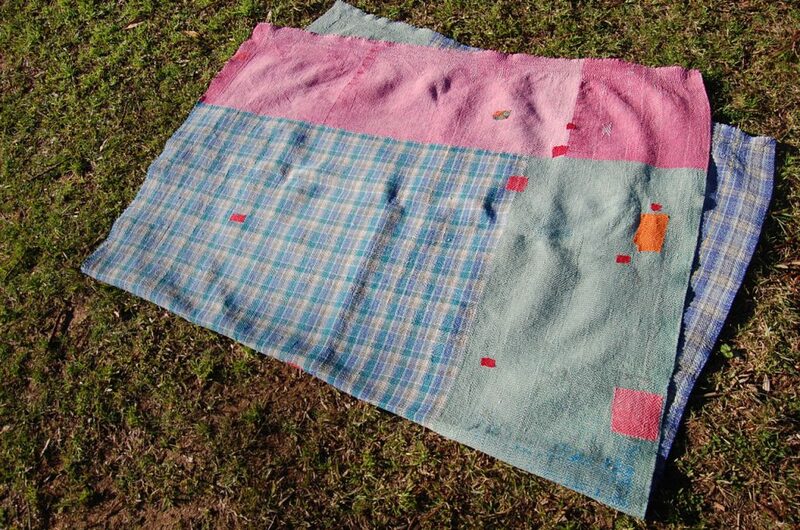 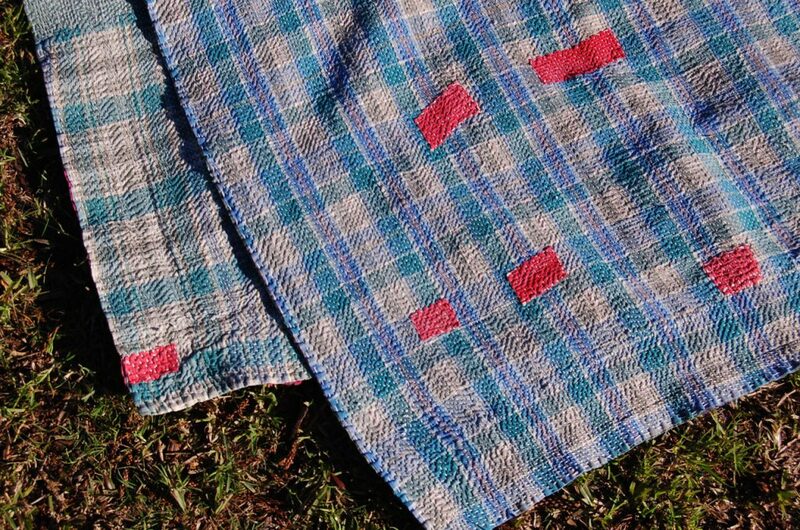 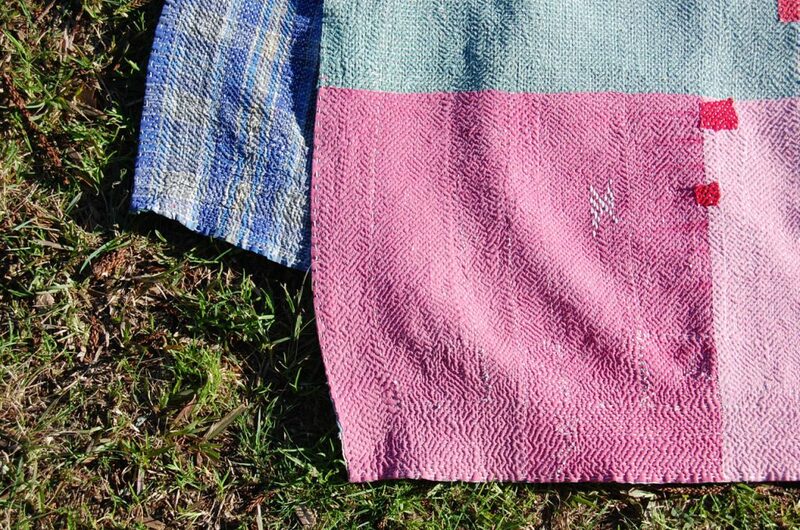 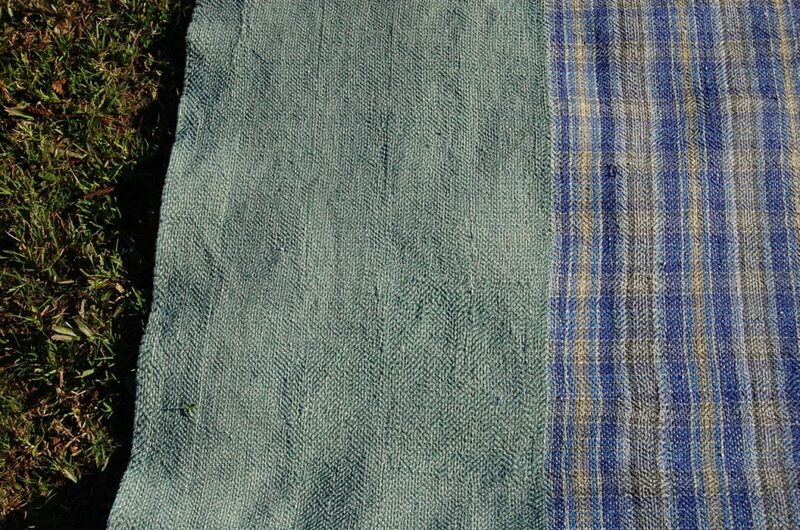 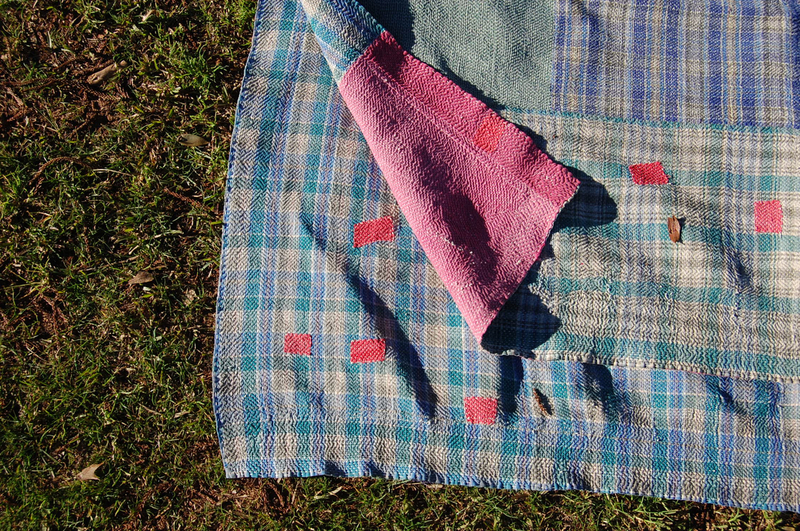 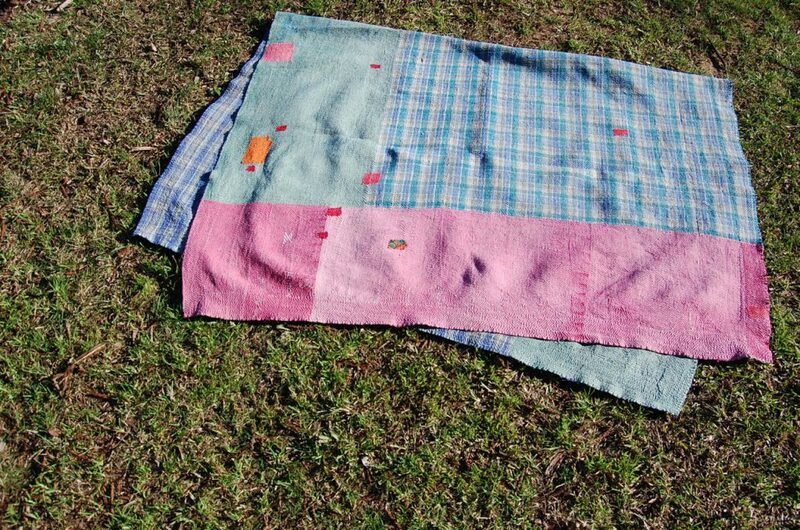 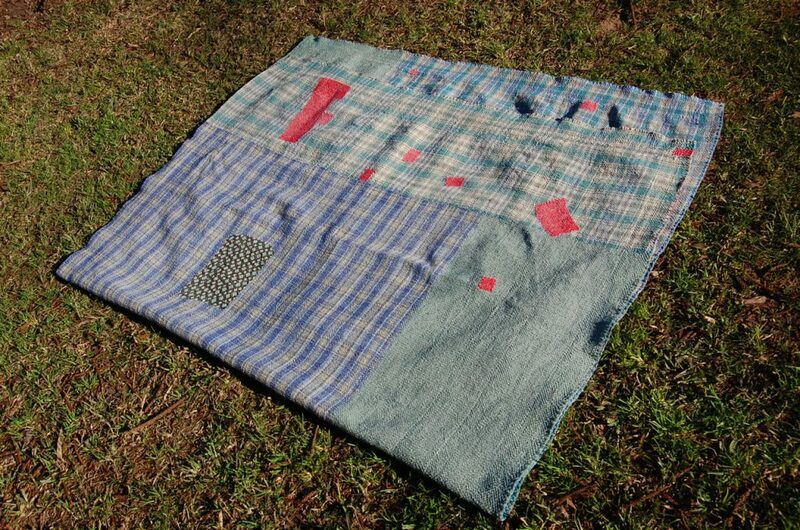 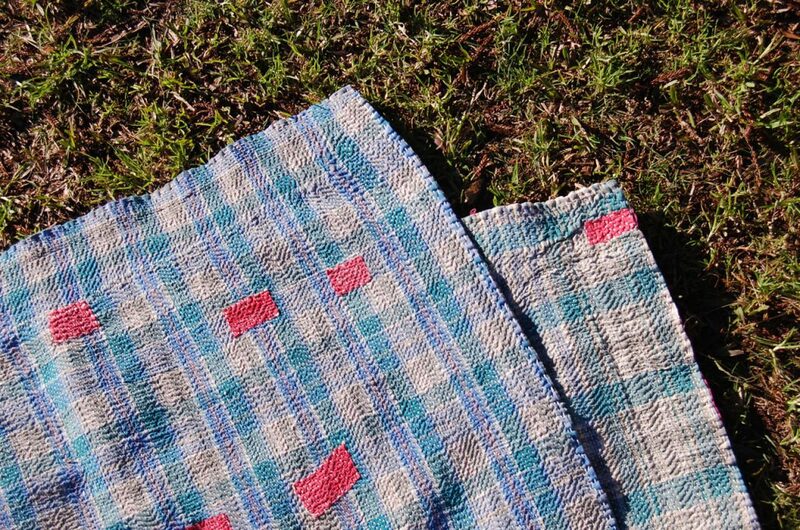 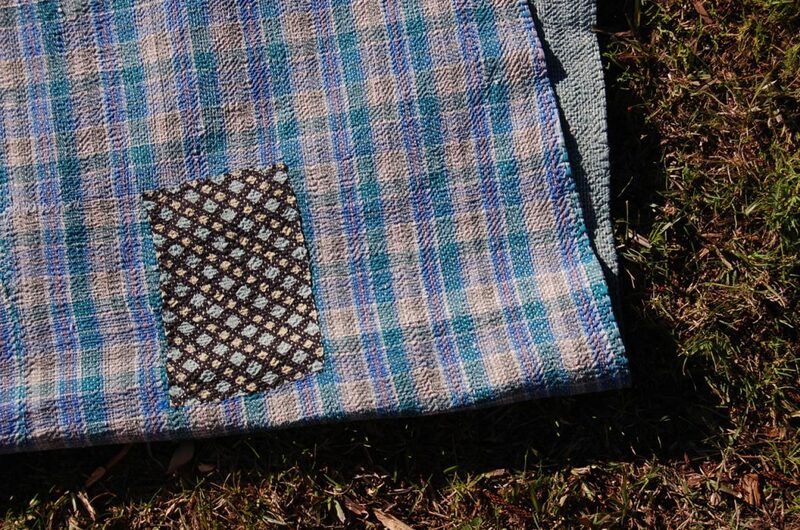 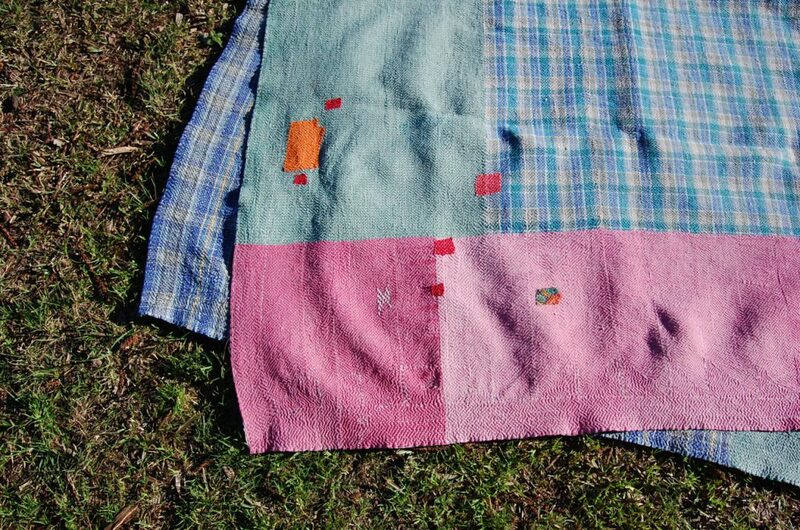 Perfect for a picnic rug, a floor rug for a bedroom, teepee or bell tent or wall hanging. 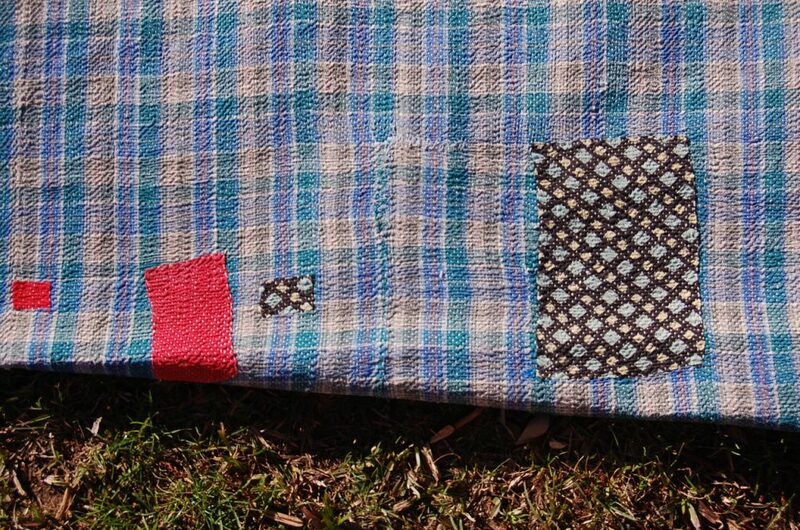 The blue hues and the many perfectly placed kantha patches create an exquisite hippie Indian tapestry!